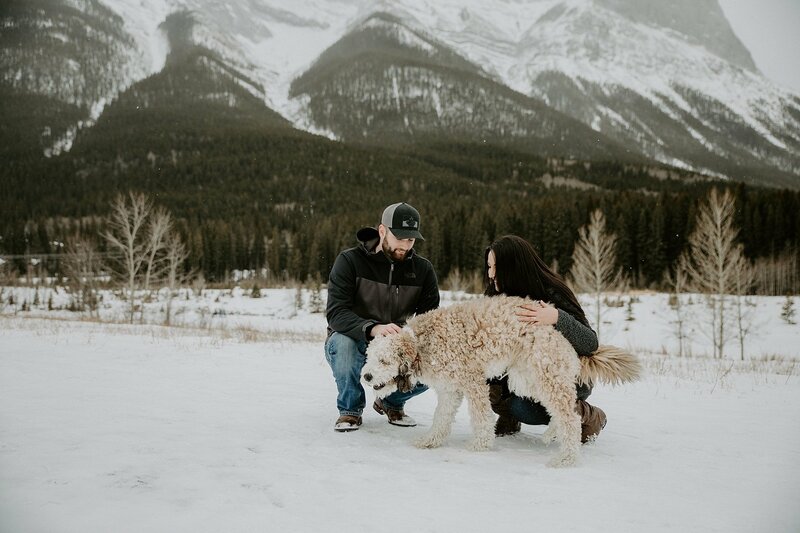 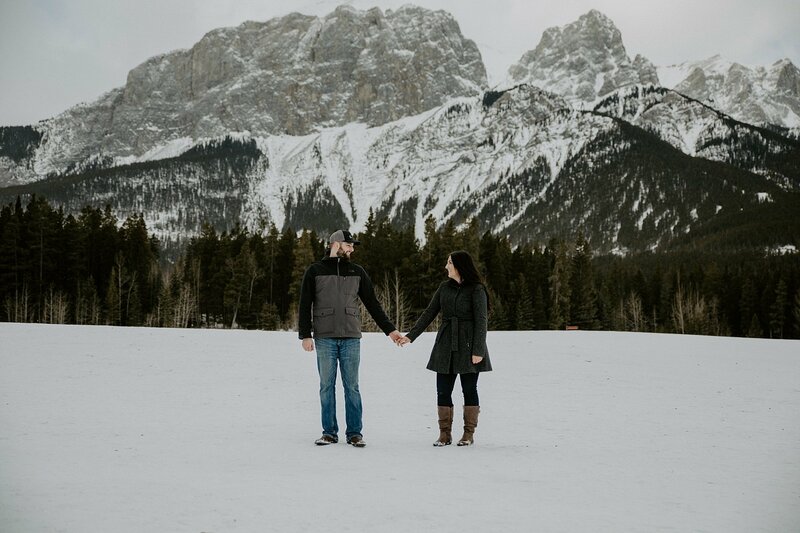 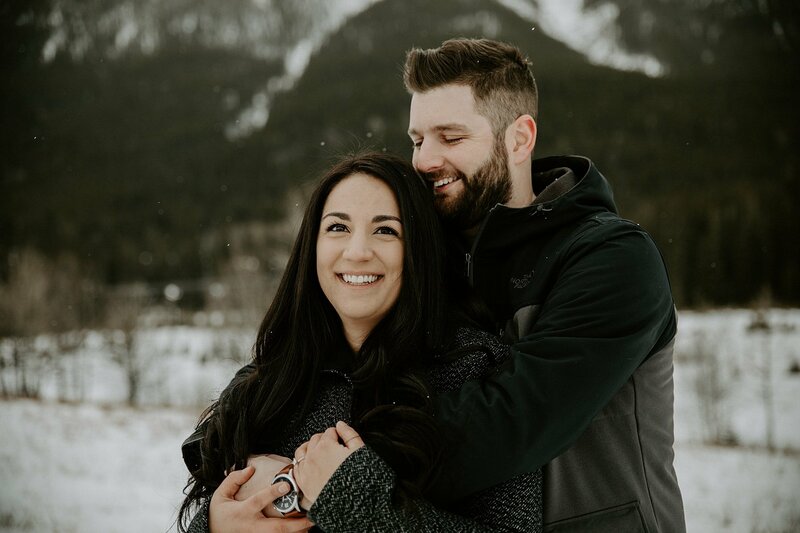 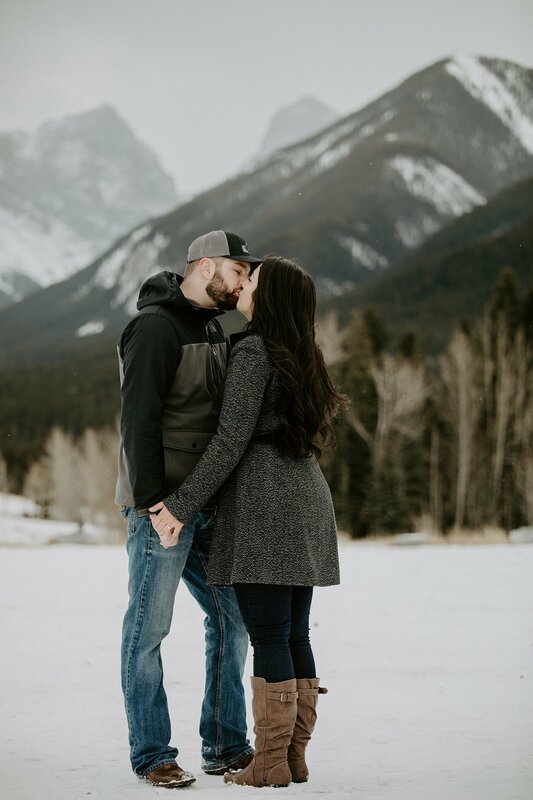 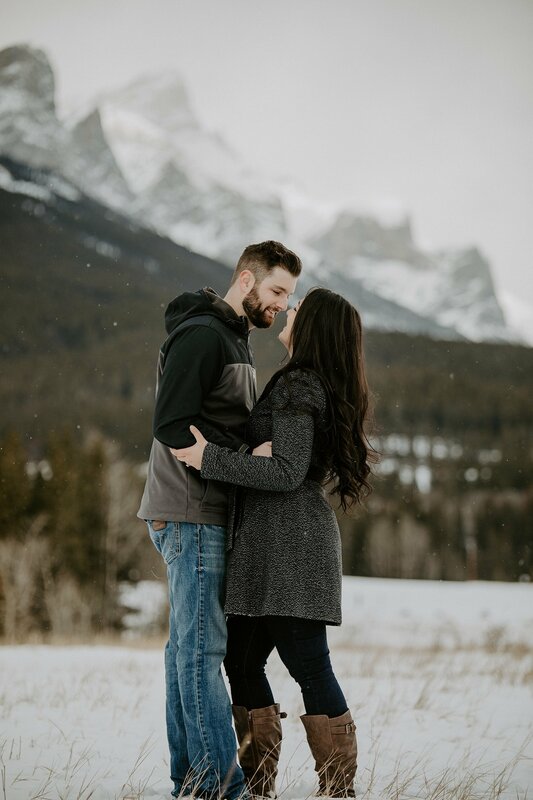 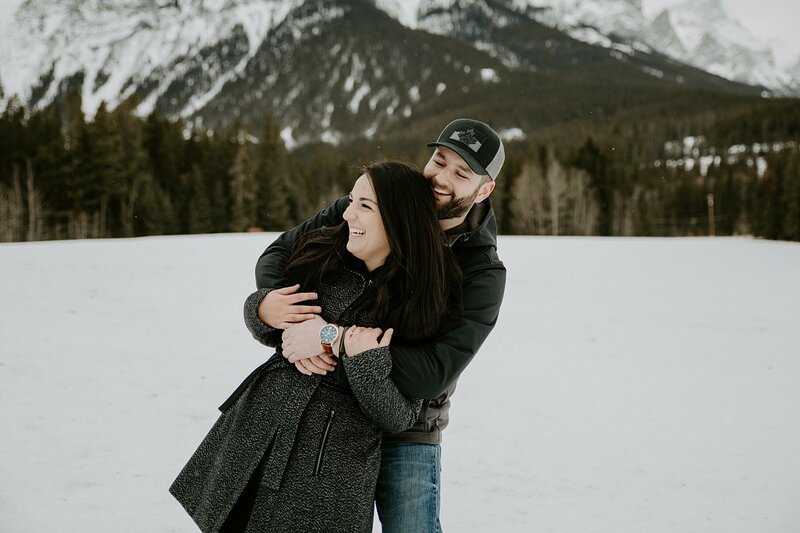 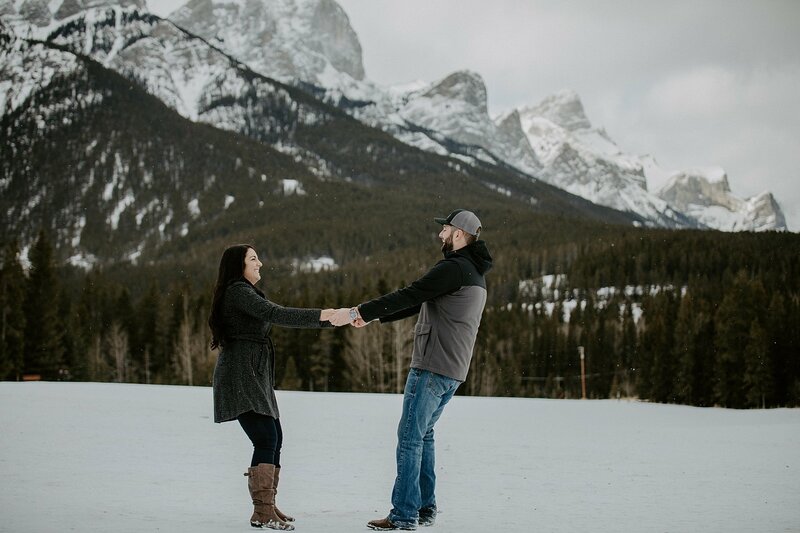 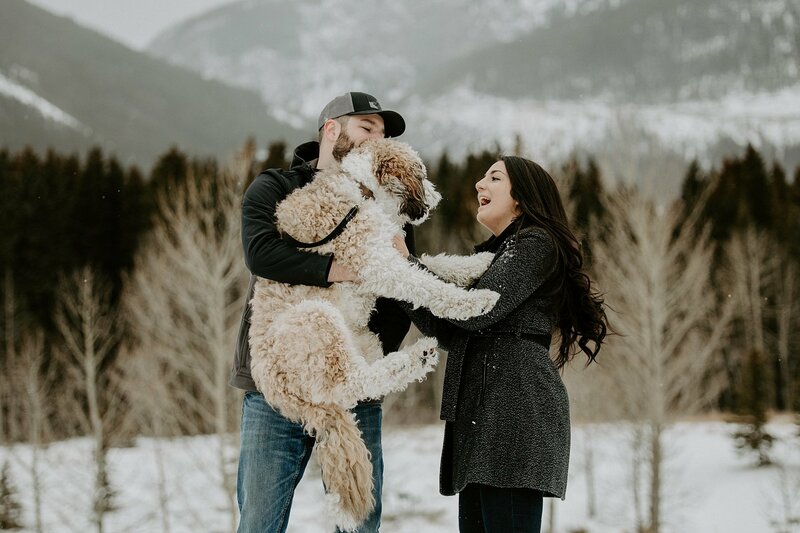 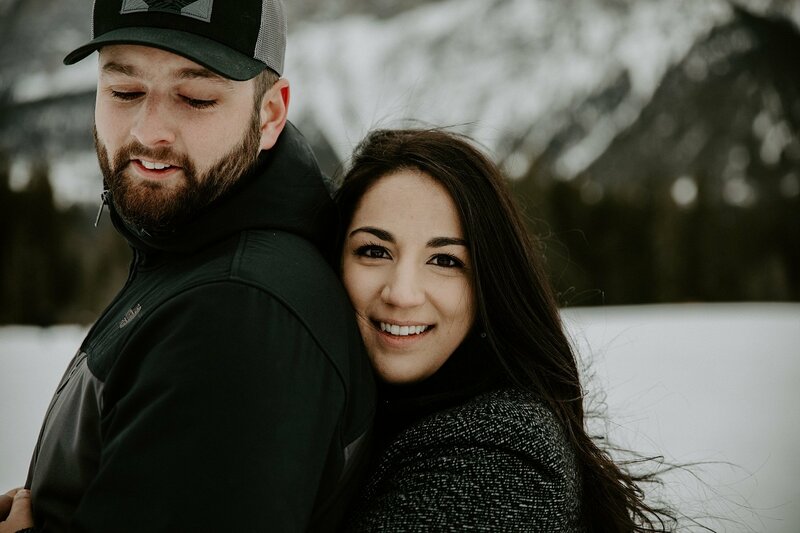 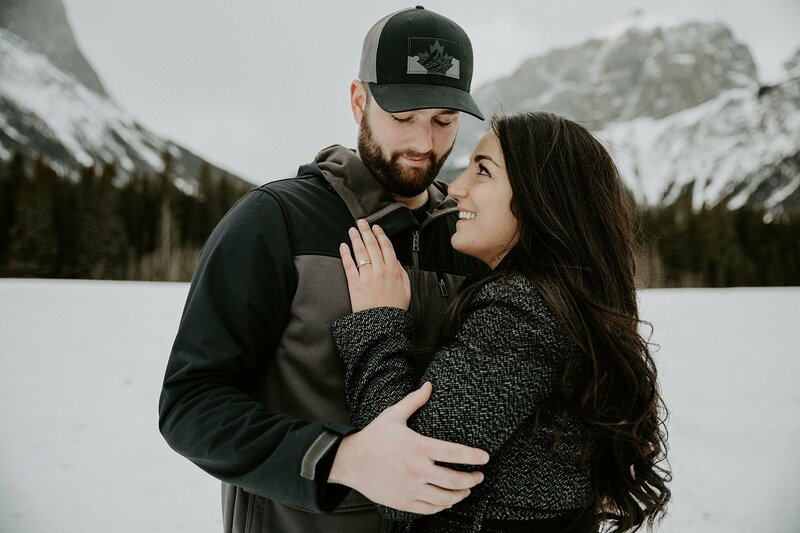 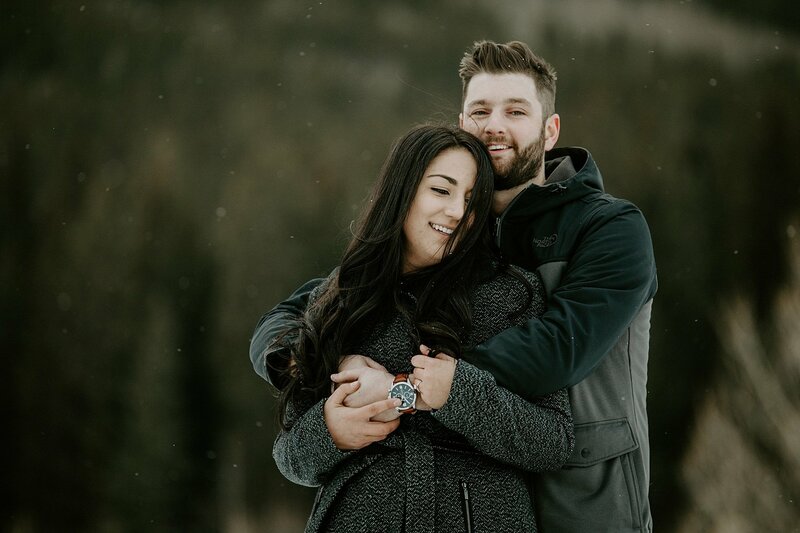 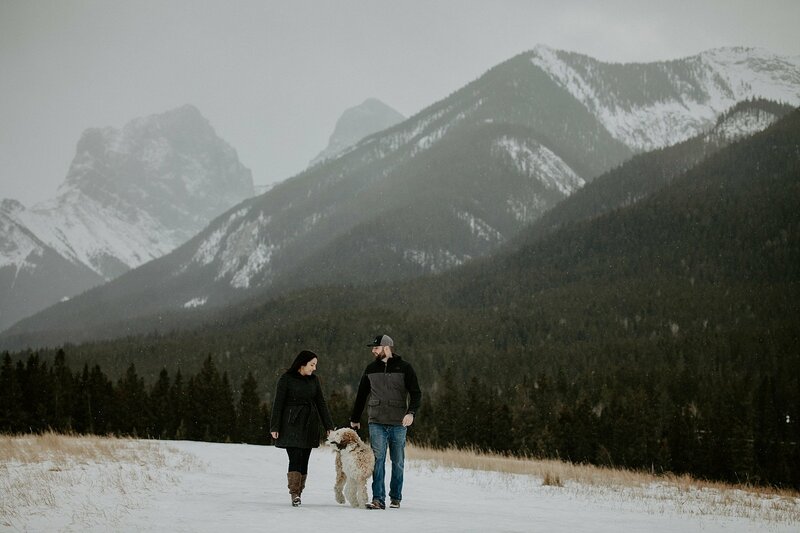 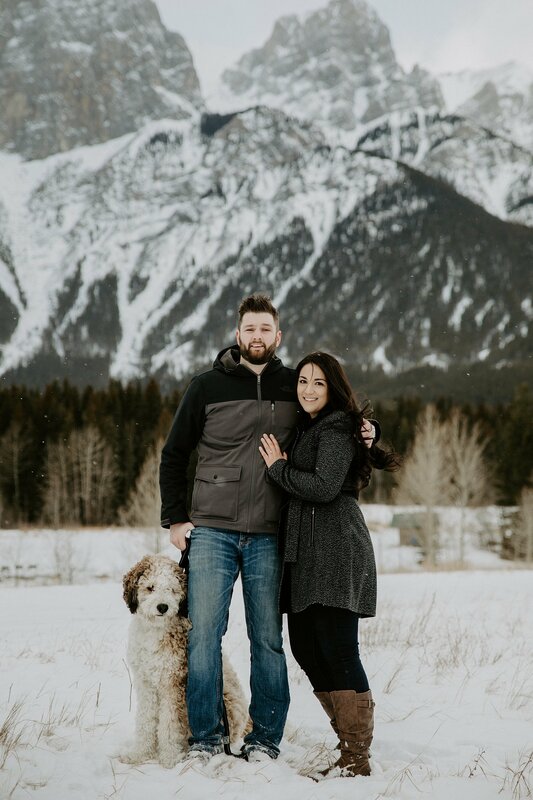 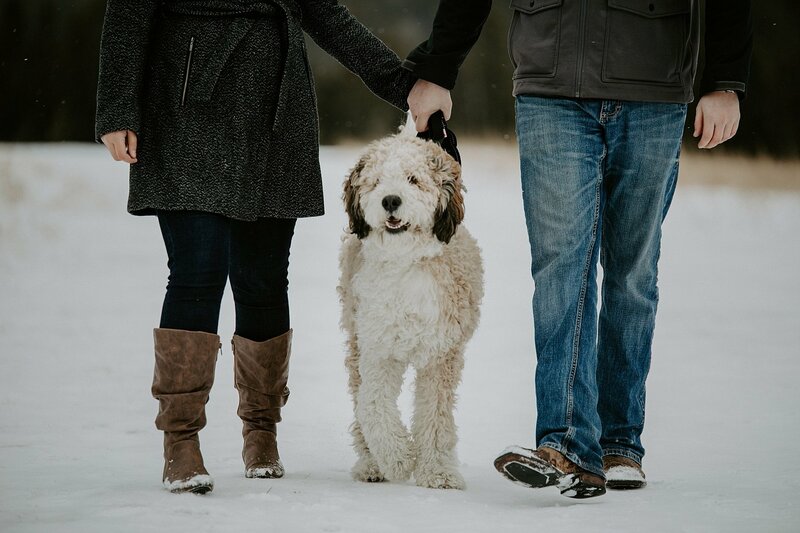 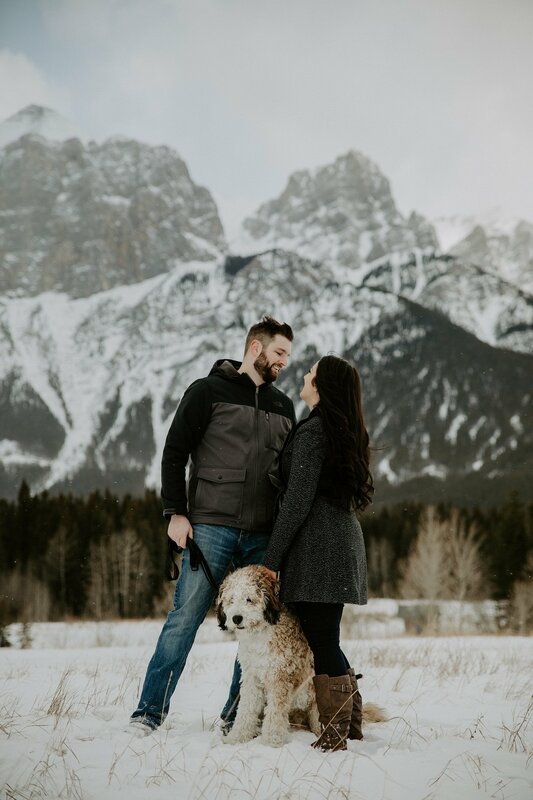 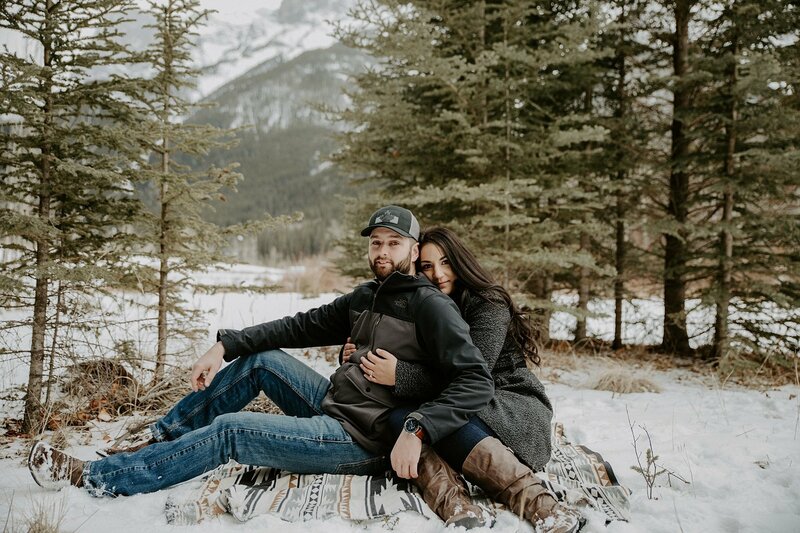 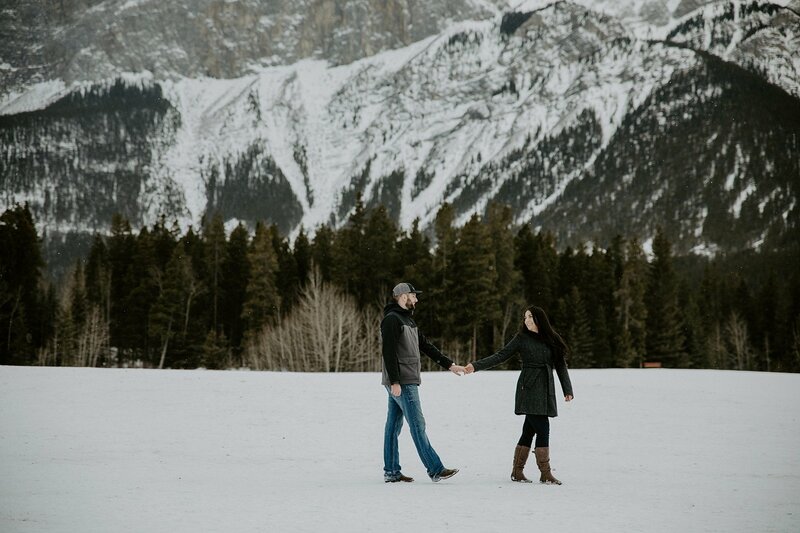 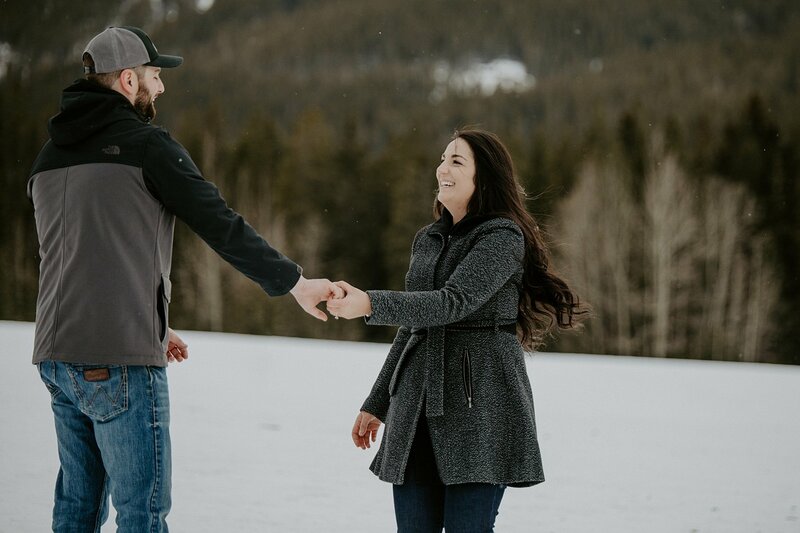 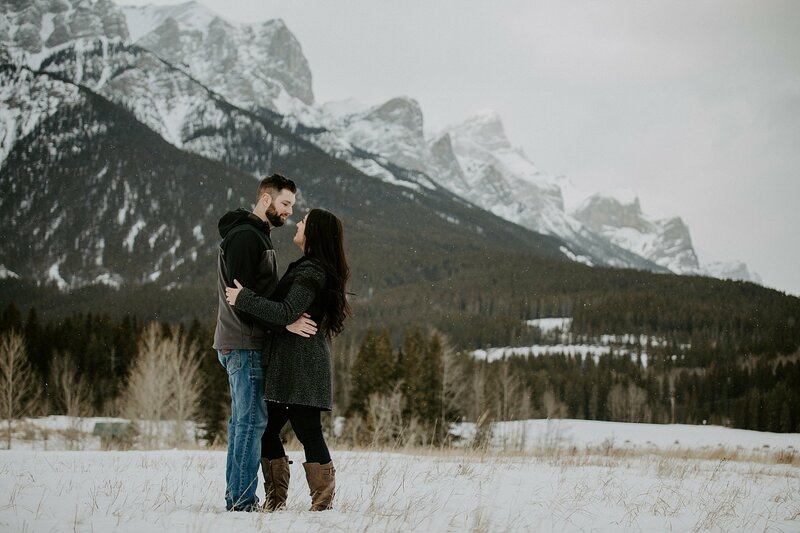 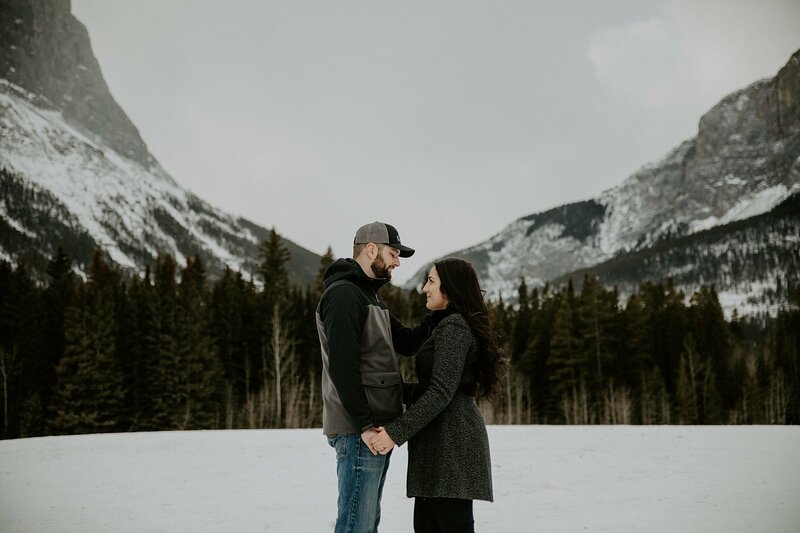 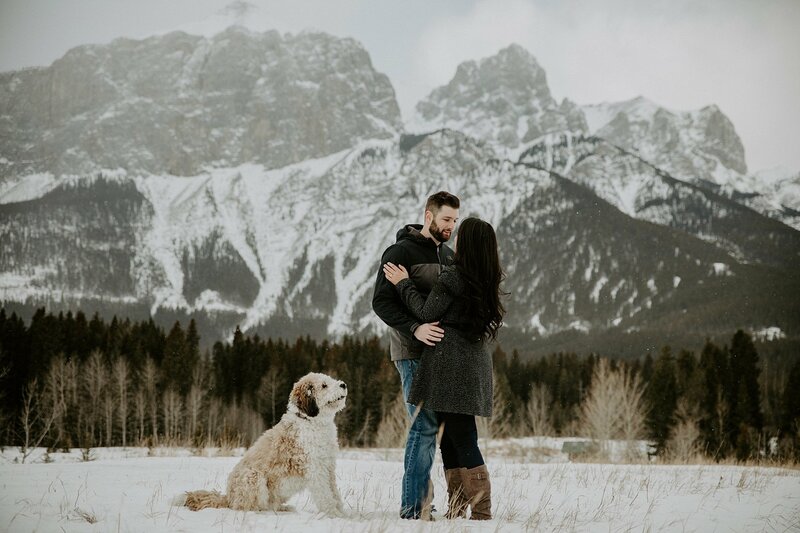 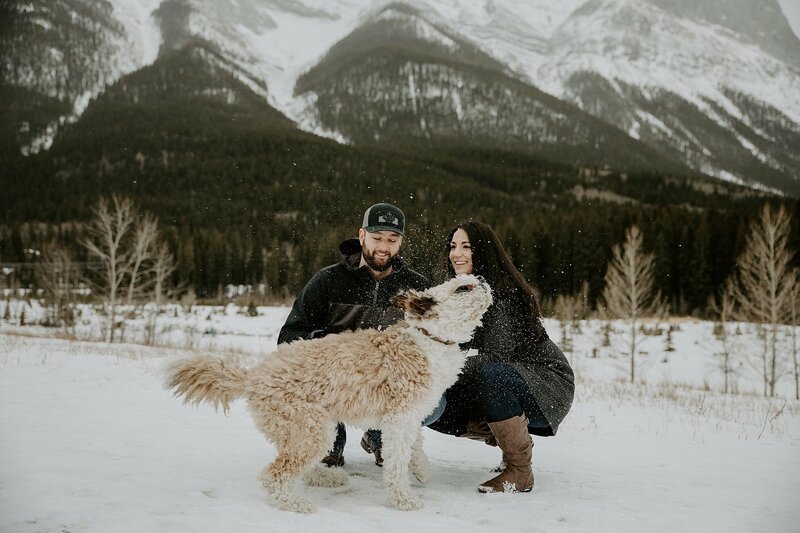 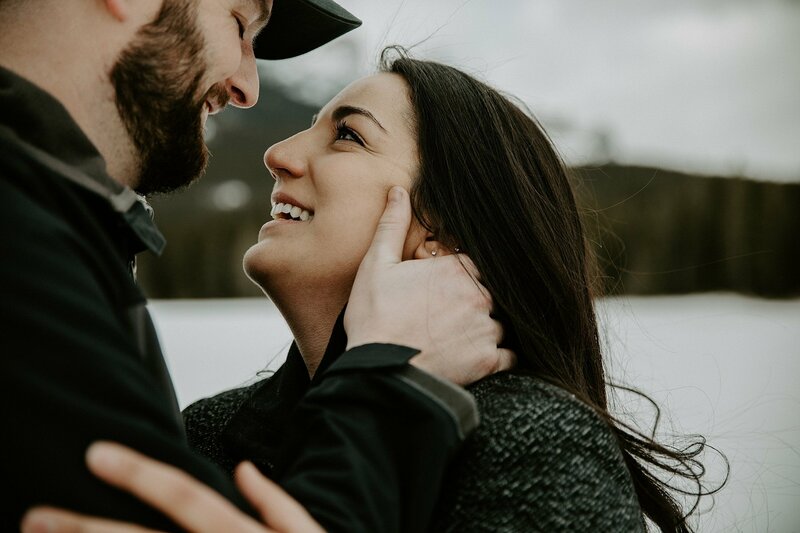 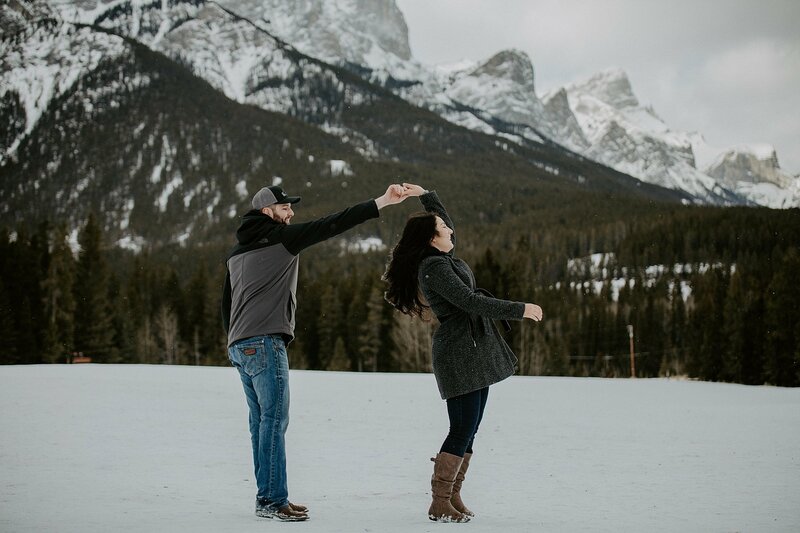 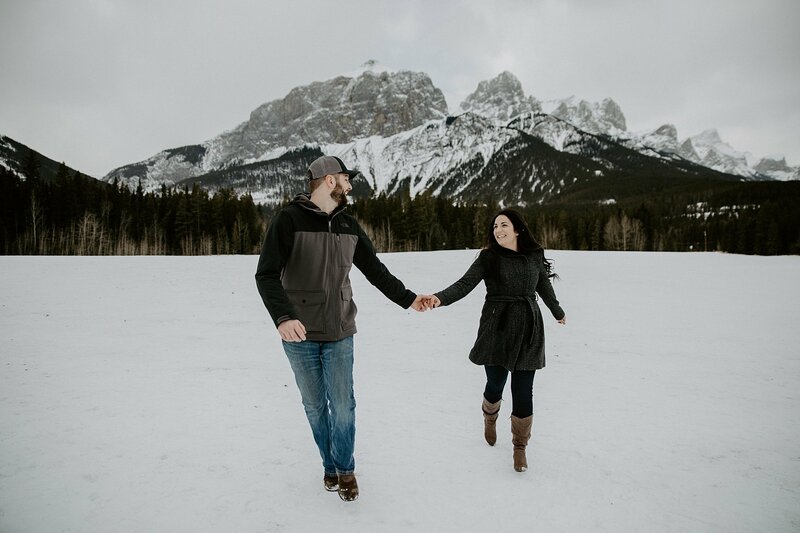 For Kelsey & Mark’s Canmore engagement photos, we headed over to Quarry Lake Park accompanied by their excited not-so-little pup Gus! 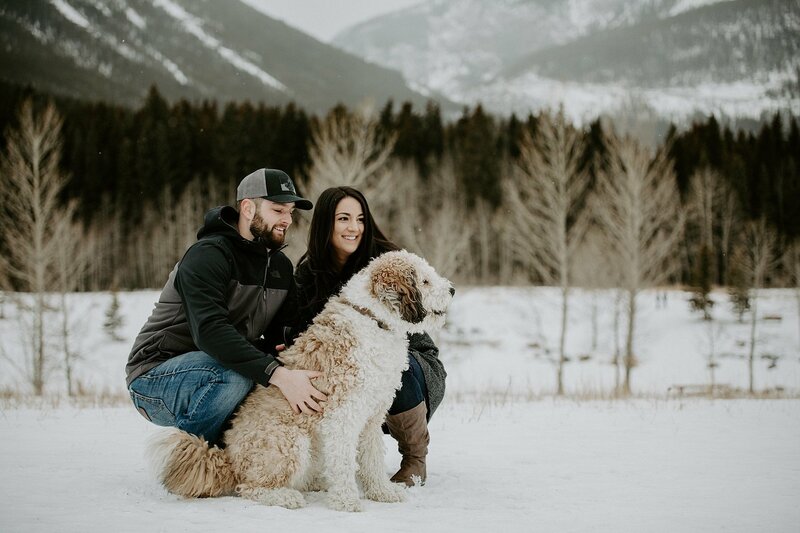 Gus was having a blast – I mean a dog park in the mountains, dream come true right? 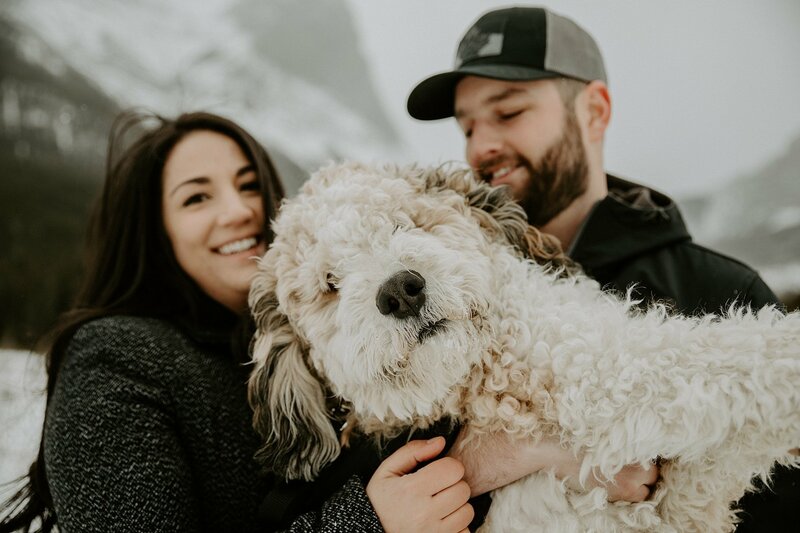 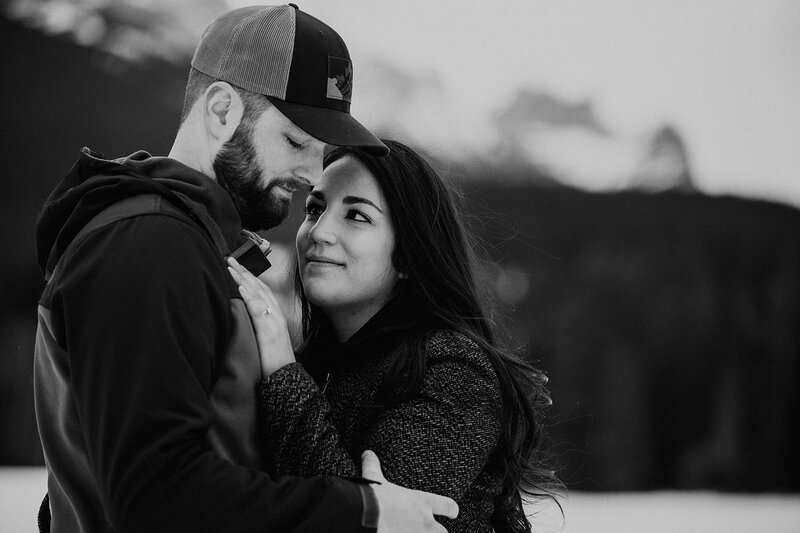 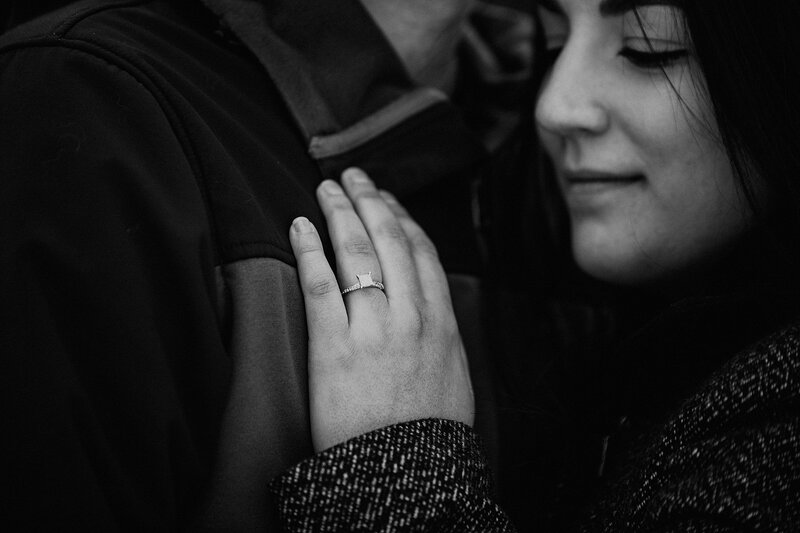 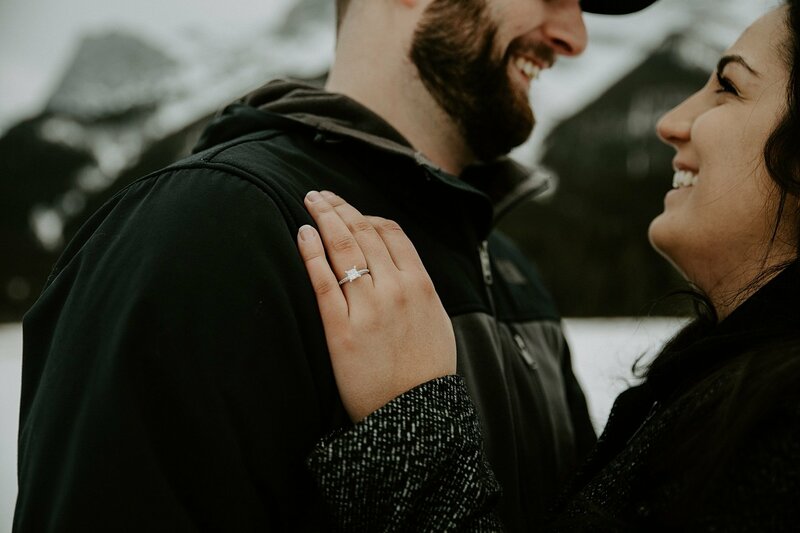 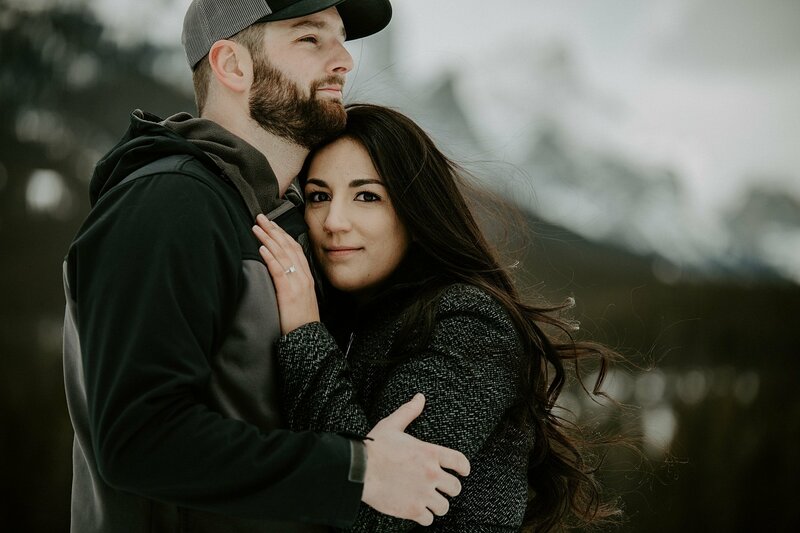 Gus was a part of their proposal story – so naturally, it was only fitting that he was included in the engagement photos as well!